Toulon president Mourad Boudjellal is counting on some magic from his latest big signing, Bryan Habana, when the South African winger makes his Top 14 debut on Saturday. 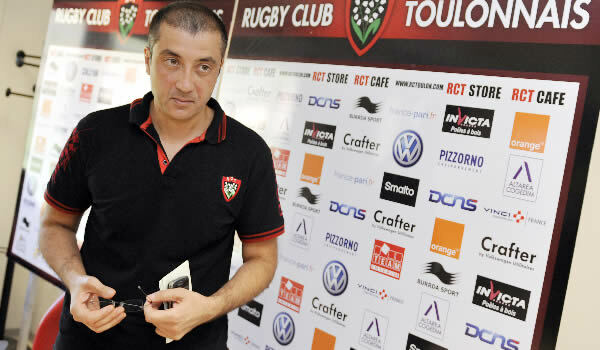 “Each time I managed to sign a big-name player, be that (Tana) Umaga or (Jonny) Wilkinson, he has succeeded in doing something decisive in his first match,” Boudjellal said. Likely to be named among the replacements for Saturday’s match against Grenoble, Habana might only have a matter of minutes to show his immediate worth to his demanding president. Habana, one of the deadliest finishers in world rugby after having amassed 51 tries in 88 matches for the Springboks, has rejoined Toulon after appearing in the opening two matches of the Rugby Championships. The winger was present for pre-season with the French club and played two friendlies. “When he arrived in July, I thought that he’d already been there last season,” said scrum-half Sebastien Tillous-Borde.